In one week I will be in Gulf Shores presenting Think Like a Rock Star to a group of smart tourism professionals from the Gulf Coast. Whenever I present to an industry-specific group, I tailor my case studies to include examples from their space. A couple weeks ago I pinged Sheila Scarborough to ask her about any great social media case studies from the tourism industry that I might have missed. One of the examples Sheila shared with me was a deck from Visit Philly’s Caroline Bean on how that DMO is leveraging social analytics to improve its content marketing. Type of content. Visit Philly examines and tracks how people react to content with certain elements, such as photos, or videos. It knows which elements create more interest and engagement. Content topics. Which topics are more popular with readers? Visit Philly knows because it segments its content by topic and tracks engagement levels for each. User behavior. 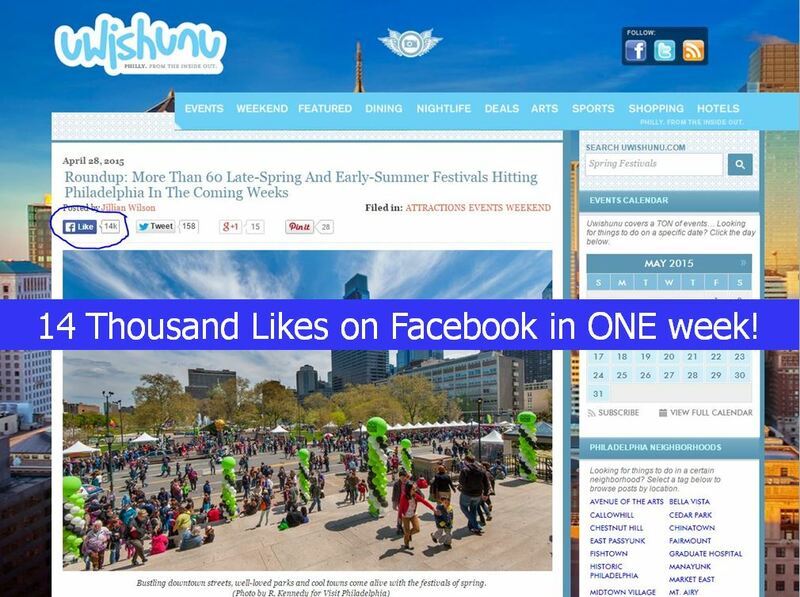 Visit Philly knows which days are better to post content based on engagement levels. They even take it to the next level and know what type of content will appeal to local visitors, and what appeals to ‘out of towners’. Combine these three areas together and Visit Philly has a good idea if a piece of content will be a success before it is ever published. Visit Philly aggressively tracks data from Google Analytics, Facebook Insights, and Twitter Analytics. The best part about this is that all of this is something that every company that uses social media marketing can and SHOULD be doing. This is completely doable by your company, all it requires is putting in the work to analyze the data and improve your efforts moving forward. As I was reading the deck below I was nodding along because so much of what Visit Philly looks at associated with the data around its content is the same things I look at for every piece of content I create as well. Here’s one example of how this works: I checked out Visit Philly’s ‘sister site’, UWishUNu.com, and saw this post published 7 days ago. Notice that it has 14 thousand Likes on Facebook! In one week! That happens because Visit Philly has put in the time and work to analyze the data around its content and knows exactly what type of content its readers want. In fact, in the deck below they go into the strategy behind publishing that exact type of content on Facebook, and why it worked so well. If this deck doesn’t give you the kick in the pants to get serious about letting analytics guide your content marketing, nothing will.